Avalanche of documents obtained by Secret Reporters from reliable sources in the United States of America (USA) has revealed how Nigeria Senator Andy Emmanuel Uba, was almost on his way to prison for refusal to pay tax in the US. Court documents seen by this medium detailed how the City of Los Angeles, acting through the Los Angeles Department of Water and Power filed a suit against Uba at the Superior Court of California, County of Los Angeles on December 20th 2016. Andy Uba refused to honor the summon prompting an order of publication to be made and served him on February 2nd 2017 in The Metropolitan Newspaper, which was done caused to be published at least once a week for four consecutive weeks. To be sure that he won’t deny reading the paper, it was posted to his address and also deposited in the US post office, before the expiration of the time prescribed for the publication. We gathered that Uba was finally served through the law office of Steven A. Simons, who he chose as his lawyer, according to court document of April 18th 2017, in our possession. 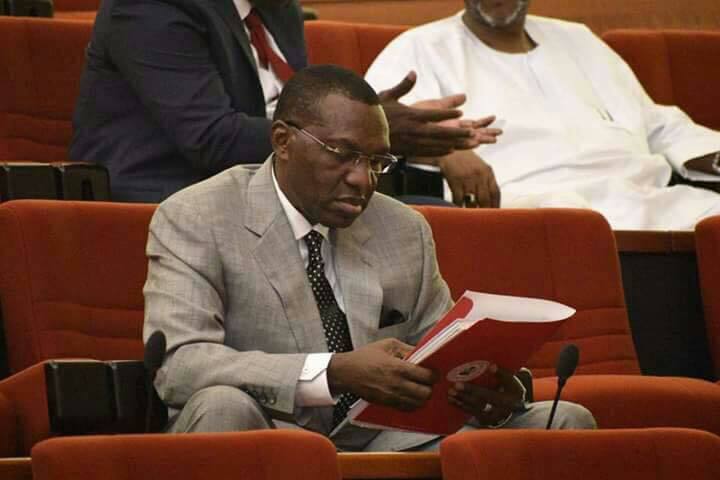 When his lawyer finally filed his defense on May 30th 2017, Andy Uba denied owing the Department of Water and Power, but the bubble was to bust later, as he finally agreed on February 2nd 2018 before the court of being indebted and liable to the US the sum of $35,448. In an out of court settle document signed on January 29th/30th and 31st before the Honorable Judge, Rita Miller of the Los Angeles Superior Court which was obtained by Secret Reporters, Andy Uba agreed to make an initial payment of $3,762 on February 1st 2018 and a final payment of $25,221 on April 30th 2018, with the LADWP agreeing to waive off late charges of $6,464 upon successful completion of payment. According to the agreement, each payment made by the Senator must bear the LADWP Claim File Number 1031095 for proper credit. Uba did not pick our calls and didn’t return it before we went to press. Our next expose shall reveal the multimillion dollar houses owned by Andy Uba in the US.